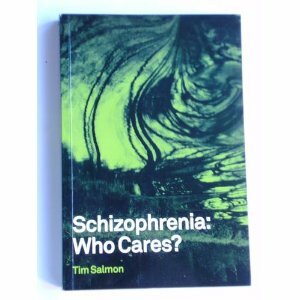 Tim Salmon, author of Schizophrenia: who cares? has kindly agreed to be interviewed by the Frontier Psychiatrist blog. FP: Please tell us about your motivation for writing the book. TS: I wrote the book for several reasons. First, I wanted to tell the world something about schizophrenia. Whether the world will pay the slightest bit of attention is of course another matter! Most people, unless they have had personal experience of the illness, have no idea what it means, what it does to people, what a devastating and truly tragic effect it has on the lives both of those who suffer from the illness and those who love and try to care for them. If they have thought about it at all, they think it has something to do with going berserk and wielding axes or having some kind of what they think of as a split personality. And I decided to tell my story because I knew, after attending meetings and listening to other people’s experiences for twenty years, that my story was everyone’s story: we were all in the same boat. I also wanted to expose the hopeless inadequacy of the provisions made in our society for the care of people with schizophrenia: the ridiculous, illiterate and contradictory nonsense talked by those supposedly in charge of the system and its continuing failure to provide the things that the government told us we could expect from it. For twenty-five years we have been told that the involvement of carers was of primary importance. Am I informed of the dates of Care Plan review meetings? Have I met the “new” consultant who has now been in charge of my son’s Care Plan for three years? No, and that in spite of the fact that I have bullied and pushed and agitated for more than twenty years. My local Trust is now planning to close half of its remaining in-patient facilities on the grounds that Care in the Community has been so effective that they are no longer needed. A likely story, I say, when Care in the Community for my son means a fortnightly injection and an occasional cup of coffee with a CPN. Does anyone know what he eats, when he last changed his underclothes, his bed sheets, what is growing out of his sink? Actually, he is doing pretty well – at last, but I don’t think the “system” can claim much of the credit. TS: Yes, firstly, I am aware that some people with schizophrenia “can hope for a much better outcome…” Rethink, for one, never ceases to tell us so. But while I quite understand that there is no point in being only pessimistic, I feel strongly that the people who “can hope for a much better outcome…” are lucky, are a minority, and, in a sense, are not really the ones we need to worry about. My experience – not systematic, I admit – suggests that the majority languish somewhere between more or less stability and more or less acute illness: in a kind of limbo, where many sort of manage without coming anywhere near leading the kind of life that could have been expected for them before the illness. They are, in short, the people whose plight prompted John Pringle to set up the National Schizophrenia Fellowship, ancestor of Rethink, in 1970. These are the people I am concerned about; these are the people who need looking after. These are the people who truly suffer from schizophrenia and I do not see any evidence that their numbers are diminishing. Rethink still has some 150 support groups and, I believe, some 8,000 members, most of them inherited from its days as the NSF. If the chances of good outcomes had significantly improved, I do not think we would still be attending these groups. It was to highlight the plight of these people that I wrote the book. Responses from readers largely confirm that my story is, as I had suspected, also theirs. And given that there is as yet no cure, no truly effective treatment, for the illness, this is surely what one would expect. You express surprise at my lack of sympathy for the vulnerability of ethnic minorities. Vulnerability to what? If it can be shown that ‘Albanian-ness’ is in some significant way relevant to a person’s susceptibility to schizophrenia or to the way in which the illness should be treated in that person, then I have no objection. As far as I know, no one has been able to show that this is the case. My strong impression is, on the contrary, that talk of ethnicity and minorities in this context is merely part of the ill-thought-out and currently fashionable discourse of political correctness, aka the positive discrimination/affirmative action movement that derives from the work of the philosopher John Rawls, and where the actions of mental health bodies and local councils are concerned amounts to little more than box-ticking designed to establish “progressive” credentials. And what is ethnicity? What boxes do you have to tick in order to constitute yourselves an ethnic minority? My children are half French? Does that count? Do the substantial number of well-qualified, professional French people now working in London count? What about the large number of Americans living in England? Does a well-known actress brought up in England by an English mother but sired by a Nigerian father count? Are the Japanese ethnic? The Poles? Was I part of an ethnic minority when I was living in Greece or in Libya? In my view a lot of nonsense is talked about ethnic and cultural diversity, in the main by people who speak no other language than English and therefore can have little understanding of cultural difference or else have vested interests in exploiting their status as minorities for their own purposes. Vide VS Naipaul and Wole Soyinka on these matters. One of the difficulties when talking about groups of psychiatric patients and their outcomes is defining about who you wish to draw conclusions. Another is that what counts as a ‘recovery’ can be different to different people. However attempts have been made, and when you sum up the work done so far – according to the textbook on my knee – then: ‘The prognosis of schizophrenia is very variable. A review of treatment studies suggests that 15-20% of people with schizophrenia recover completely, about 70% will have relapses and may develop mild to moderate negative symptoms and about 10% will remain seriously disabled’ (Kumar and Clarke 2009). ‘The mental health system perpetuates the needs of those who enter it, so that it is difficult to exit from the system: patients are transferred from one compartment to the next, with little effort being directed toward developing a functional independency.’ (More is more and less is less the myth of massive psychiatric need British Journal of Psychiatry (1985), 146, 164-168). Your viewpoint on charities is very interesting. With year on year growth and influence, many charities have internalised the logic of the marketplace and have begun to see themselves as competing for market share. Working for a charity has become a career path, and charities have increased responsibilities to their staff and so on. I feel that this has a lot to do with the broadening of remit that you identify with particular reference to the National Schizophrenia Fellowship. A wish for a broad appeal may also explain why campaign targets – stigma, fear and prejudice – have superficial appeal, but lack nuance. I share your view of the fallacy of ‘1 in 4’ of us having mental health disorders, which is part of the same ‘inclusionist’ approach. Overall I would agree that there is a place for an organisation to campaign for the interests of schizophrenia patients solely and it is a shame that this no longer exists. It is generally accepted in psychiatric circles (with an epidemiological basis) that some ethnic minorities and immigrants have higher rates of schizophrenia and higher rates of admission to psychiatric hospital. Even if this wasn’t the case, low income groups – of which ethnic minorities form a substantial part – are major users of NHS services across the board so it is not surprising that mental health services deal with a lot of people from ethnic minority groups. At any time, a psychiatric ward in London will house citizens of multiple different nations. As you know from your travels people from different communities may have very different viewpoints and requirements. With regards to these needs opinion formers and regulation enactors have fallen in with the ethos of multiculturalism where the prevailing wisdom is that we should recognise and accommodate difference so far as is possible. So, whilst it’s true that that what qualifies as an ‘ethnic minority’ is arbitrary, from a pragmatic point of view people whose English language skills are poor or whose cultural norms are significantly different to those of the majority population are allocated the most resources. It is these people who I refer to as ‘vulnerable’ by which I am ultimately referring to their risk of not getting adequate treatment by virtue of their inability to negotiate NHS care structures. You may be right that we overdo our accommodation for people from cultures outside the UK majority and if so this is likely to be a reaction to past neglect. There has been a lot of criticism of the multicultural approach, but the other extreme is to treat everyone the same. I’d be interested to know where you would draw the line: for instance it was reported in 2006 that the NHS spends £100m on translation services yearly. If we one were entirely ‘mono-cultural’ then this presumably would not be required. I don’t know, but I have always felt that a firm, warm, persistent, mildly assertive taking-in-hand of the patient – like a good PE teacher – from the earliest onset of the illness would be more likely to promote a successful outcome than the current holding-back, can’t-do-anything-without-the-patient’s consent approach – the approach revealed in the use of the term client rather than patient. How many cancer “clients” do you know? If “toxic environmental factors” play a role in schizophrenia, then surely it matters where and how people live. They need decent accommodation. I would not want to live in most of the sheltered accommodation that I have seen. And if they need help in keeping clean, eating properly, keeping physically healthy, having some kind of social life, they should get it. How can leaving someone suffering from an illness like schizophrenia to live in squalor and isolation possibly be good for them? And yet that is what happens – all too often. Years ago a social worker – one of the few in my experience who took her job seriously – made a needs assessment for my son. She recommended sending a cleaner in, signing him up for meals on wheels and a number of other things. Did he get any of it? Of course not. Yet that is the kind of help many patients need. And if diversity of culture is to be such a cherished part of our way of doing things, might it not make more sense to suggest to the Bangladeshi community, let’s say, that they establish a body of English-speaking volunteers to whom their non-English-speaking…are we allowed to call them “compatriots,” may turn when need arises? No one, I have to say, when I lived in Greece, France or Libya, ever pushed a leaflet through my door telling me I could apply to have official documents sent to me in my native language. The little I know of it suggests that the problem in accessing mental health services for people from other cultural backgrounds is not language so much as culture, that is, attitudes to mental illness. Admitting to the existence of “madness” in the family is to bring shame on it; it is something to be hidden. This has certainly been my experience with Greece, with fathers of sons, in particular. Sathnam Sangheera’s moving book about growing up in what was essentially a Punjabi Sikh village community in Wolverhampton, The Boy with the Topknot, throws interesting light on this; both his father and a sister suffered from schizophrenia, something he himself did not realize until well into his twenties. Somewhat paradoxically, one might think, it also suggests that coping with illnesses like schizophrenia in the bosom of the clan, a large extended family, may well be far more effective than our more clinical and professional approach. Whilst I don’t think that everyone who works for the NHS is a genius, nor that people are never promoted beyond their ability, are you not being a bit harsh here? The fault here is that, as a society, jobs in the NHS, and especially some in mental health care, are not valued and do not always attract the highest quality staff. And not only are they not valued, but the UK does not train people for these jobs in sufficient numbers, necessitating recruitment from abroad. Shouldn’t we be grateful for the people who are prepared to do the jobs rather than admonish them? TS: I can see that what I have said might be considered harsh by some. There is, however, truth in it and I do not see that skirting around the truth for fear of offending people, as is currently the fashion, helps anyone. I believe that, if in the long run services are to be improved, we have to be allowed to describe things as they are. We have to know where we are starting from. On a slightly different point: we hear a lot about ethnic and cultural sensitivity. It does not, however, seem to have occurred to anyone that it might be rather a shock to the cultural system and therapeutically not very helpful for a well-educated young English man, arriving in a psychiatric ward for the first time – a pretty frightening experience in itself – to find himself in the care of people who are not English or European even and come from a very different cultural background, with all that means in terms of attitudes to politeness, privacy, the status of the sick and mad and so forth. I remember a ward manager from Mauritius telling me once that he wished he had some white nurses on his staff. FP: Can you tell us the reactions you have received to your book? TS: I have had several dozen written responses to the book, in the main from parents and relatives of people with schizophrenia, but also from sufferers, psychiatrists, GPs and people both teaching and studying on nursing degree courses. The vast majority have written to tell me that my story is their story. Often the emphasis is on the sadness and horror of their experience, but many have also found the care system woefully inadequate and many are infuriated by the “politically correct” attitudes that prevail. Some students wrote to tell me that a lecturer had told them off for thinking of their work as “nursing” and “caring,” on the grounds that such terms implied a patronizing attitude to…well, their “clients,” I imagine, hardly their patients. The people who did not like it, somewhat ironically, I could not help thinking, were the mental health charity Rethink! Incidentally, one GP – married to a psychiatrist – suggested that I was perhaps too generous about the abilities of psychiatrists, pointing out that because psychiatry has been seen as a poor cousin in the medical prestige stakes it has tended to attract less talented practitioners: easier to become a consultant than in cardiology, say! FP: I’ve heard it said that psychiatry attracts both the best and the worst doctors; alas every speciality has less committed or talented practitioners. Not so long ago general practice used to be the medical career of last resort, but now they’re running the show! Do you have any advice for psychiatrists in training? TS: I think it is vitally important that they acquire – I don’t know how – some understanding of what it is actually like to live with schizophrenia day by day: how it affects your ability to organise a proper diet for yourself, keep yourself clean, fill the long hours of the day when you have no job or organised activity to go to; how it feels, when like my son you sign up for a writing course and have to face fellow-students who are “normal” and have no inkling of what you go through or why you might look a little strange and unkempt; what it is like to set off to go and buy a packet of cigarettes and half-way there be ambushed by your voices so that you are afraid to go any further… Psychiatrists for the most part see their patients in hospital conditions; it is not the same thing. And talking of cigarettes: has anyone given any thought, in this caring age when we are so quick to legislate for other people’s own good, to the desperate need that people with schizophrenia have to smoke? For some it is practically their only hold on life. It is cruel in the extreme to make it so difficult and expensive for them to smoke. One more thing: because of all this, psychiatrists really need to accept the importance of keeping in close touch with parents and other family carers and of listening to them as important sources of information. I talk obviously of those who remain involved with the care of their ill relatives. We are the people who see the daily reality and also know what the person was like before becoming ill; we are the ones who know the real worth of the person and that is never entirely destroyed by the illness. Schizophrenia sufferers themselves are notoriously good at concealing the degree of their need and notoriously obstinate in refusing any kind of help. I see little value in defending their freedom to go round the bend and possibly harm themselves or others. Sarah Wardle, poet and author of ‘A Knowable World’ recently came to speak at a conference I helped organise. A Knowable World follow’s Sarah’s detainment in a Central London psychiatric hospital for over a year for manic episodes of bipolar disorder and it received positive reviews from both the British Journal of Psychiatry and the Guardian newspaper. I would also recommend it as her poems offer an eloquent glimpse of experiences that are relatively rarely documented. Sarah has kindly allowed me to publish one of her poems to accompany this interview, which can be found in the post following this one. Can you tell us about the circumstances which lead to you writing ‘A Knowable World’? I had already had two collections published and in my third book wanted to chronicle time spent in hospital, much as Kate Clanchy chronicled pregnancy and childbirth in her third book, Newborn. Were these poems written in the large part with events, or afterwards? Apart from a few at the beginning and end, written before and after, most poems were written on the wards, for example one that begins, ‘The consultant psychiatrist is on the ward./ In his proximity all is hope with the world’. Others were responses to the daily round of fire alarms and PRN, to snow seen on Easter Sunday from a ward window, or to a fellow patient’s suicide. The opening poem describes the MRI scan that prompted a previous psychiatrist, Professor Basant Puri, to take me off medication and put me on fish oil. The closing poem describes walking up Ben Nevis and celebrates being out in the open again. Writing was a lifeline for me and I was heartened to receive in hospital acceptances from journals, such as The Times Literary Supplement, for poems written on the ward. In his famous experiment Rosenhan reported the staff commenting on pseudo-patients’ ‘writing behaviour’. Did the staff ever comment upon your writing? I wasn’t writing only poems. I tried to write, not fight, my way out, for example, writing for tribunals and hearings. I remember after writing a sonnet to the doctor, a nurse saying he would throw it away. What was your aim with AKW – to inform, to record, to heal? Your poems are often very personal, and are about events about which many people might prefer to get as little attention as possible; did you ever consider not publishing any of the poems? Yes, my aims were exactly those – to inform, to record, to heal – for others as well as myself, and to make ‘a knowable world’ of such circumstances to those who may have little experience of them and may perhaps stigmatise people who have mental health difficulties. Hopefully they will have appeal beyond their subject matter. I have to say, as a writer, I write for the intrinsic pleasure and pastime of writing and this act of concentration helped me in hospital. Because I value authenticity in writing, I did not self-censor. Because poetry is midway between music and painting, it can deploy both sound and imagery to affect emotions and transmit truths in a more startling and defamiliarising way than prose. Iambic pentameter, the lifeblood of poetry in English, has a soothing beat and I was interested that when I had the MRI scan, I was told that parts of the brain responsible for music were highlighted, since, as it says in the opening poem, ‘I kept speaking poems I had written/ to myself, trapped inside that white coffin’. Throughout the book there is a sense of your fighting against state systems of containment (the police, components of the mental health system etc.) which suggests a very negative experience – and it’s more than some people’s jobs are worth/to open a locked door or grant a wide berth (“Wild Card”) – but yet you are strongly drawn to the psychiatrist who is in charge of your care and also write of missing the ward when you are discharged. How do you reflect now on this apparent contradiction? Well, I have never literally fought anyone, in terms of punching, or kicking. Growing up without siblings, I never learnt to fight. I fought for my liberty by applying to tribunals and hearings and this very system is there so that you can be discharged earlier than your hospital care plan allows. There is inherent struggle to the psychiatric patient’s position, since you find yourself detained in a challenging environment for the foreseeable future with little explanation of why you must be medicated against your will. You don’t often glimpse your doctor on the ward, though the consultant allotted to me was more present than others, but when you do, the nursing staff and patients defer to him, plus he holds your release in his hands, so he can become a larger-than-life figure. One sees policemen even more rarely, but it is a comfort when you do, because they come when you have called them for help, when you feel you are being mistreated. I developed a crush, or transference, on the psychiatrist after I’d been A.W.O.L. and he mentioned a poem from my first book, called ‘Flight’. I must have looked amazed he’d read it because his response to my expression was to cry and I was moved by his sympathy. The patient may be discharged, as I was, to living alone and it is true that after a whole year of the camaraderie of fellow patients, one has to adjust to silence, but I have no doubt this is preferable. At the Art of Psychiatry conference you were able to meet psychiatrists in an out-of-work context, so you’ve seen us at ‘work and play’. What do you think of us? First, thank you again for inviting me to take part in the conference. It was a very interesting day and the people I met were thoroughly pleasant. It was cathartic to be faced with a hall of people with sectioning powers and be treated as a working equal, not a ‘patient’. Do you have any advice for the psychiatric profession? As a lecturer I see a class of students, but try to get to know each one’s writing and themes and read and listen to them as individuals. In this respect students are like patients and benefit from empathy and individual care. I would recommend my consultant, Dr Ronnie Taylor, as an example of good practice in this regard. Some doctors and nurses would do well to remember we are all patients of some specialism in the end. It’s interview week here at Frontier Psychiatrist and I’m very excited that Dr Iain McGilchrist has agreed to be featured on this website. Dr McGilchrist is a psychiatrist with an unusual background as, before he turned his attentions to psychiatry, his first career was in the academic study of literature. 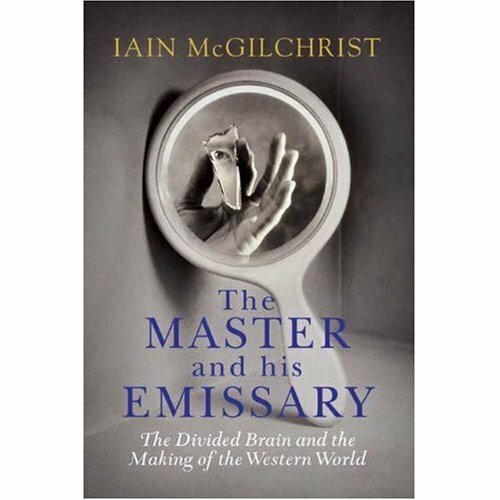 He has recently published ‘The Master and his Emissary’ a book which posits that the division of the brain into two hemispheres is essential to human existence, making possible incompatible versions of the world, with quite different priorities and values. You’ve had a very varied career, most notably starting off as a scholar of English literature before training as a doctor and then as a psychiatrist. What was the motivation behind your change of tack? Much as I loved working with literature, I began to see that the explicit approach to a work of art, which the critical process demanded, was inherently unsatisfactory. It substituted something abstract, cerebral and generalised for an entity the whole purpose of which was to lead us in the opposite direction. The encounter between the work of art – the poem or whatever – and ourselves was not like dealing with an object, more like the encounter of two people, each unique, each embodied, each an indissoluble whole that could be only mis-represented by examining its parts. The value of the work of art depended on things that were radically altered by their context, which were implicit, and had to remain implicit, if they were not to lose their power. The relationship between mental experience and the physical fact of our own embodied selves seemed to be central to this conundrum, and I studied what the philosophers had to say about the so-called ‘mind-body problem’. Eventually it became clear to me that they were themselves too prone to deal with this fundamental fact of existence in an abstract, decontextualised, disembodied fashion, and I thought I ought to train in medicine and find out for myself, in a more embodied way, what it was like when things went wrong with people’s brains and bodies, and how that affected their minds. So I wrote a book about my concerns, called Against Criticism, and went off to study medicine. Then after a brief spell of neurology, I went to the Maudsley to train as a psychiatrist. How has a training in literary scholarship informed your practice as a psychiatrist? You might expect me to say that perhaps the reading of great novels and so forth has influenced the way I think about disease and death. Maybe it has, but if so it is at a level beneath my awareness – implicitly, one might say, rather than explicitly. What I would say, though, is that having a training in the humanities in general makes a vast difference to how we see what it is we are looking at when we approach the human being, the human body. Many medics, whether they are aware of it or not, accept unquestioningly the scientific model of the body as a machine. I say ‘scientific’, but of course the paradox is that in physics a far more sophisticated understanding of what matter is has been forced on its practitioners, with the result that their universe is far less mechanical than that of biological scientists, who remain becalmed in the untroubled waters of Victorian scientific materialism. Medicine could be seen as a branch of psychiatry, and psychiatry as a branch of philosophy. Philosophically speaking, many medics are quite unreflective. I think that the Americans have got it right in making medicine a second degree. Of course at the simplest level, it allows people time to mature, and to make sure they have made the right decision – some doctors I have encountered clearly didn’t. But, even more important, it permits a period of intellectual exploration and questioning, before getting stuck into a medical degree, with its overwhelming demands for rote learning and the acquisition of information, largely without time to question. As a result the fundamental questions don’t get asked by those who actually have the experience – the questions are left to philosophical outsiders. It is no kind of piety to say that, hard as we work for it, the experience we have as physicians of the mind and body is vastly precious, a real privilege that the others, the professional philosophers, can only imagine, and we must never lose the ability to stand back and look at what it all tells us in the broadest possible context. When I was a House Physician, I remember there were all these patients who came in on take with chest pain. Of course we did ECGs and cardiac enzymes – but no luck. Sometimes we sent off all manner of rarified tests. All negative. I remember working for the Professor of Medicine: the tests we were supposed to send for extended all down one page of A4 and half way down the next. But no-one thought of – possibly, it occurs to me now, no-one even knew how to – sit down with them and ask about their lives: their families, their wives or husbands, their children, their jobs. And when I was the House Surgeon it was the same, except the problem now was abdominal pain, rather than chest pain. But the same picture – loads of tests, drips and invasive procedures: zero insight into the most common cause of abdominal pain. The psyche. It still seems to me a scandal, in view of the fact that over 60% of GP consultations are ultimately psychiatric in nature, that you can’t become a GP unless you have done attachments in obs & gynae, and paediatrics, but you don’t have to know the first thing about psychiatry. That is in a way trivial answer, but I hope a vivid one. A more serious one is that we need to see every complaint, physical or mental, in the context of the whole person. Typically physical medicine looks only at this ‘machine’, the body. I want us to look at the person as whole, by far the most important and complex part of which is the psyche. Every physical illness affects the mind; every mental illness affects the mind. Every symptom reported comes via the patient’s mind. That is why medicine is a branch of psychiatry. It is just the report of the person of physical as well as mental symptoms. To understand mental symptoms you need to understand psychiatry. To understand physical symptoms you need to understand – psychiatry. Also it’s not clear to me why you write that physicists are less mechanical in their thought than biological scientists. Surely if mechanistic thought has a place it is within the realm of physics? You may not have kept up with contemporary physics! If you look at Bohr, Bohm, Dirac, Planck, Heisenberg, Davies, Polkinghorne, you will see that all the mechanistic assumptions of Newtonian physics have had to be abandoned, in the face of evidence that reality is not determinate, precise, atomistic, explicit, but indeterminate, probabilistic, interconnected and implicit. A vast topic, and one that has been very widely explored, but one that is of ultimate philosophical importance, and sets the ‘hard’ sciences against the current intellectually lazy mindset of biology. Having started off working for the NHS you now work exclusively in private practice. What motivated your switch? I never foresaw that I would end up working privately – I was completely committed to the ideal of the NHS; and to this day I do not have health insurance myself. But I could not ignore what was happening. I felt I was deskilled working as a psychiatrist in the NHS. A largely politically motivated, and in my view deeply mistaken, drive to marginalise the role of the psychiatrist, and with it the skills of diagnosis and appropriate treatment, has been disastrous. And the range of conditions with which, in practice, one gets to deal in the NHS is too limited, the therapeutic resources at one’s disposal are too meagre, and too much time is taken up with paperwork, ticking boxes, and keeping various bureaucrats happy – far too little in patient contact. On top of that, I wanted freedom to be in control of my time and the way in which I worked. I knew I wanted to write the book that became The Master and his Emissary, and I knew that there was no way I could do that unless I could choose to work as I do now, fitting a normal week’s work into three very long days (during which, incidentally, I get as much clinical contact as I would have done in weeks in the NHS). This gives me a fighting chance of spending the intercalated days in the library and on research. I also felt, rightly or wrongly, that the sausage machine that academic psychiatry has become was no place for someone like myself, who wanted to do something unconventional – despite the fact that many people probably see me as a natural academic. The constant pressure to publish papers would not have given me time to develop a long piece of work, and would have prematurely foreclosed the direction of my thinking. And you can no longer get funding unless the work you do is fairly similar to what other people have already demonstrated to be ‘fruitful’, produces ‘positive’ findings in a limited period, and brings in money and prestige for the research group to which you belong. I fear that this is likely to have a stifling effect on originality, and can only encourage us to go ever more down the path we are already treading. What are the main differences between NHS and private psychiatry? First of all, I think the difference between private medicine in general and private psychiatry is enormous. In private medicine (or surgery) all you get by going privately is a chance to jump the queue and, when you get into hospital, to have a glass of wine in your hand. The range of conditions covered, and the standard of treatments, is largely the same. But private psychiatry is different. There are whole swathes of suffering humanity who get little or no help under the NHS. Unless you are psychotic, and about to kill yourself or someone else, you don’t stand much of a chance. However there are enormous numbers of people, who, to my eternal shame, when I was in the NHS I learnt to think of as ‘the worried well’, who suffer at least as much as the psychotic, and in some cases more, from a range of anxiety and depressive disorders, often quite subtly interlaced with personality factors, and sometimes addictive behaviours, that are simply given short shrift in the NHS – because they are too complex and time-consuming to treat – but are treated, along with the psychotic, by private psychiatrists almost alone. I am glad to say that I see many psychotic patients, in whose treatment medication plays a central part, but I am also able to help people who need much more than a drug can give. And having control of one’s time is not only personally liberating, but makes it easier to be kind to people and to listen to them carefully. Moving onto your book: the relationship between the right and left sides of the brain is not something that concerns most psychiatrists. How did you come to be interested in it? I think it again relates to my philosophical background. That the two hemispheres interpret and create the world differently, with different modes of attention, different priorities and different values, emerged from Bogen and Sperry’s work in the 1960s and ’70s. That should have been of the highest interest, since the world we inhabit is brought into being for us by our brains. And at the time it did give rise to a lot of speculation. But we were looking for different ‘functions’ for the two halves of the brain to do, as if it were a machine with a lot of little specialised modules –language here, maths there, or reason here, emotion there – again in a ridiculously naïve way. Over time, we discovered that each so-called ‘function’ was carried out in both hemispheres, not one, and people gave up looking for a real difference. This is despite the fact that there are obvious, undisputed objective differences in the shape, size, neuronal architecture, neurochemistry and neuropsychology of the two hemispheres. It seems obvious to ask: what does all that signify? What I began to see – and it was John Cutting’s work on the right hemisphere that set me thinking – was that the difference lay not in what they do, but how they do it. In particular, the right hemisphere was capable of appreciating ambiguity, the implicit and the metaphorical, where the left hemisphere tended to require certainty, the explicit and the literal; the right hemisphere saw the broad context and the world as a seamless whole, interconnected within itself, where the left hemisphere focussed on detail and produced a lot of separate fragments; the right hemisphere was far more capable of understanding new information, while the left hemisphere dealt with the already known; the right hemisphere saw individuals where the left hemisphere saw categories; the right hemisphere realised the importance of what is intuitive and embodied, where the left hemisphere prioritised abstraction and rationality (here I distinguish mere ‘rationality’ from the all-important, and far more complex, ‘reason’, to which both hemispheres need to contribute). This illuminated problems in the nature of human thought and experience that I had struggled with all my life, and which had been brought into focus by my study of literature. Can you briefly tell us about the thesis of The Master and his Emissary? Well, some of it I have already referred to. I posit that evolution has kept two types of attention apart, because they tend to interfere with one another; it has separated them by the hemispheric divide. There is now an enormous and expanding body of literature that suggests that in birds and animals the left hemisphere provides focussed attention on something that we have already decided is of significance, while the right hemisphere keeps an open attention for whatever may be, without preconception. This enables them to feed (focussed grasp of what needs to be manipulated) while staying alive (the broadest possible open attention for conspecifics or predators). For example, chicks use their left hemisphere (right eye) to pick out the seed from the gravel on which it lies, while their right hemisphere (left eye) remains vigilant for predators. Equally mates and kin are best identified with the right hemisphere (left eye) in most species. Humans have large frontal lobes, which enable them to stand back from experience: this puts the hemisphere division to new use. For purposes of manipulation, the brain needs a relatively simple map of the world which enables it to be efficient in getting hold of things: denotative language and the ability to grasp with the hand are its tools in this representation and manipulation of the world, and they are controlled, as one might expect, from the left hemisphere. All the rest, the ability to pick up the complexity of experience and take the broadest view, goes on in the right – which also means that it sees us, not as atomistic, distinct entities in competition with one another, as the left hemisphere must, but as interconnected, interdependent entities. Empathy, social understanding, humour, metaphor, more subtle emotional understanding, the appreciation of individuals, the reading of faces, and much else goes on in the right hemisphere. Fascinatingly there is clear evidence that the left hemisphere alone codes for machines and tools – even in left-handers, who would be using their right hemisphere to use tools and build machines in daily life. So the first part of the book looks at the evidence in considerable detail, and then explores the significance of this for the nature of the world which each hemisphere ‘sees’ – the take, if you like, that it has on the world. Overall it seems that the right hemisphere sees and knows far more than the left hemisphere, but does not have the left hemisphere’s tools for asserting its point of view: denotative language and serial analysis. Applying them achieves something very important, certainly, but it is also incompatible with seeing the whole. Hence the need for separation of the two realms of thought and experience (the principle function of the corpus callosum is to inhibit). But the relationship between them is asymmetrical, as is the brain itself. The first appreciation of anything comes to us via the right hemisphere, and the ultimate understanding of it in context does so also. Some very subtle research by David McNeill, amongst others, confirms that thought originates in the right hemisphere, is processed for expression in speech by the left hemisphere, and the meaning integrated again by the right (which alone understands the overall meaning of a complex utterance, taking everything into account). More generally I would see the left hemisphere as having an intermediate role: it ‘unpacks’ what the right hemisphere knows, but then must hand it back to the right hemisphere for integration into the body of our knowledge and experience. The trouble is that the left hemisphere’s far simpler world is self-consistent, because all the complexity has been sheared off – and this makes the left hemisphere prone to believe it knows everything, when it absolutely does not: it remains ignorant of all that is most important. The second part of the book explores the history of the Western World, looking at our changing way of thinking about ourselves in terms of what we know about hemisphere differences. My overall conclusion is that what starts off well balanced in Ancient Greece, and again at the Renaissance, with both hemispheres working in tandem – the optimal, indeed necessary, state of affairs – turns into unstable swings of the pendulum, with a relentless movement ever further into the world of the left hemisphere alone. In your book you take us through, in light of your thesis, the movements which have shaped Western Civilization over the past 2,500 years. However anthropologists hold that behavioural modernity emerged 50,000 years ago, so presumably the conflict of which you write started long before then. Can you reflect on this? Yes, it’s an interesting question. I do deal with that in Chapter 3 of the book, where I ask what kind of a thing language is, and why we have it. The answers are, I believe, not at all what we might think. In any case, the Middle/Upper Palaeolithic transition 50,000 years ago which you refer to, also known as the Upper Palaeolithic revolution, reveals a massive and sudden expansion in artefacts, symbolic tokens and images which is thought to indicate the origins of language. However language only became written much later, about 3,300 BC in Sumer. In brief, the evolution of writing resulted in a complex tool which enables us to deal with what is no longer in front of us, to stand back from things in time and space and consider them at leisure and in detail. Whether it was something to do with this or not, there was certainly what looks like an expansion in frontal lobe function evident in Greek civilisation: an ability to stand back from the world and from one another. This enables us to be better at manipulating one another, to be sure, as we tirelessly hear, but also – and this seems to have been completely overlooked – to empathise more with one another, seeing others as individuals just like ourselves for the first time. Hence Greek civilisation is marked by a need for an expansion in both what the right hemisphere does, and what the left hemisphere does. One of these, the right, led to pre-Socratic philosophy, the sense of individual justice, of moral virtue, mythology, mathematics, empirical science, the evolution of drama, music, and poetry rich in narrative, metaphor and humour; the other to the development of Plato’s analytical philosophy, the codification of laws, military efficiency, the expansion of commerce, science in which theory came to predominate over empirical exploration, and in general the systematisation of knowledge. There is an accentuation at this time in what each hemisphere can achieve – each becomes more individuated, in a way ‘more itself’, more distinguished from its counterpart. Which means that they become more separate. This is where the trouble starts. At first they hold together like a pair of horses pulling a chariot at speed –later they pull apart and the wheels come off the chariot. This may sound rather fanciful, since I haven’t got the space here to elaborate a very complex argument and to adduce the necessary evidence. But I would just say to readers – please take a look for yourselves at what I have to say. Your conclusions refer to Western Civilization. Why do you not think that left/right conflict is more universal? My reading of your writings is that pervasive societal norms form a feedback loop with the relevant part of the brain reinforcing particular characteristics and it is this that has led to what you postulate as the current dominance of the left brain. Do you think that that brain has evolved in the past 2,000 or so years? Well, I believe that the world of experience obviously modifies the brain, and the brain in turn, modifies our experience. There is a reciprocal influence. What we experience, how we think, and what we do with our brains modifies the brain, by affecting synaptic growth and threshold, amongst other things: that modifies the likelihood of our brains responding to what they experience in a certain way. Equally we tend to mould our environment according to how we think of the world: the cities and the great projects that we conceive and build express our values and our beliefs. That means that we are constantly exposed to numerous positive feedback loops. First, the more we think x now, the more we are likely to think x in the future. Second, the more we think x, the more we will build a world that expresses x, and the more we will experience x, and so the more we will think x, etc. That looks like an argument for change being impossible. But we know that it is not. That is largely because we have in the past been open to new ideas, without preconception, in a flexible way, thanks to our right hemispheres, which are better adapted than the left to see, understand and take up new ‘information’, new habits of mind, and have a far greater repertoire of ways of thinking than the left hemisphere. But the left hemisphere displays an unreasonable certainty that its own mechanistic construction of the world is the only one that has any validity. The more entrenched its way of thinking becomes, the more it undermines the basis on which we might have been able to transcend its narrow way of thinking. Remember that it deals with what it already (thinks it) knows. Thus it ‘deconstructs’ everything that doesn’t fit its model – the power of nature, the importance of the implicit, of inherited cultural wisdom, of the meaning and value of religion and the arts – all of which the right hemisphere alone can really hope to understand. So now we have a further positive feedback loop – the one that stops us evading the first two. Amongst your conclusions is that Western society has become more decontextualised with prominent loneliness and materialism as a result of left brain dominance. Are there not other ways of explaining this same outcome without invoking brain structure? Increasingly complex societies with market triumphalism at their core for instance? Of course you are right. There are a very large number of levels at which one can account for any human phenomenon. If I ask you why you robbed an old lady, you could give a number of different answers: economic – ‘I needed the cash’; psychosocial – ‘I was under irresistible peer pressure’; culturohistorical – ‘in Mrs Thatcher’s Britain it was considered normal to rob old ladies’; neurochemical – ‘I was on speed’; genetic – ‘my father was a psychopath’, etc. Which is the right answer? My book is about how the brain constrains the possible views of the world we can take. As I have said above, I do not say that the brain is not in dialogue with its world. But to speak of market triumphalism, or societal complexity, is to beg the question why we have market triumphalism and a society that is in this sense ‘complex’, or as I would say more bluntly, deracinated and fragmented. I would say that these are direct consequences of capitalism, and the mechanistic way of thinking that characterises the Enlightenment, out of which it arose: a new way of thinking about ourselves and our relationship – or rather lack of it – with the world. This way of thinking happens to reflect remarkably closely the sort of world that the left hemisphere creates. The point of my book was to draw attention to that fact, amongst others. But I agree one could prioritise economic history, as Marx does, and try to account for everything in terms of that. I’m just not convinced that that gets to the bottom of it at all, and I think it often leads to worse misconceptions. Is your right/left brain conflict best viewed as a metaphor or something more ‘real’? Well, first of all, I don’t think that metaphors are an alternative to reality: I believe they are intrinsic to all forms of understanding whatever, including scientific understanding. They are just so deeply buried in scientific discourse that we hardly see them, and are not encouraged to question them. But there is little doubt in my mind, having spent so long gathering evidence about the difference between the hemispheres, that they do yield different experiential worlds in the most literal sense available to us – ie, if you have damage to one or other hemisphere, predictable things happen to your world. And the differences are not a rag bag of odd findings, either, but lead to two (in their own terms) completely coherent, but philosophically distinct, worlds. The differences I record are all backed up by scientific evidence, whether from lesion studies, imaging or EEG studies, Wada tests, commissurotomy, ECT or TMS studies, or tachistoscope or dichotic-listening experiments, and in most cases I have drawn evidence from more than one source, and always from repeated findings. However knowledge is never certain, always provisional. At the end of the book I say that it would surprise me if there turned out to be no correlation between the two ways, not just of thinking, but of ‘being in the world’ that I describe, and the two cerebral hemispheres, but I would not be unhappy. I say that, not as one reviewer seemed to assume, because I don’t believe my own thesis, but because having drawn attention to these two coherent ‘takes’ on the world is itself an important step forward. Many people will not care whether these ‘takes’ are actually to do with differences in their hemispheres or some other part of the brain or even the spinal cord – so for them it would still have meaning, I hope. But while, like all models, it is provisional and just a basis for further thought by others, I would be amazed if it were ever shown to have no validity at all. There is just far too much evidence. In his review Grayling said that neuroscientific knowledge isn’t advanced enough to allow you to reach the conclusions you’ve drawn. Would you care to comment on this? Of course I disagree profoundly. But he said a lot of very generous things, as well, so I don’t want to make too much of it. If, as is clearly the case, an emphasis on right or left hemisphere function in an individual results in certain things happening to the way that individual conceives the world, it cannot help being the case that such an emphasis in a group of individuals who share values, concepts, habits of thought – in other words a culture – will result in the same sort of things happening to the way that culture conceives the world. Grayling sees himself as ‘quite considerably a left-hemispheric creature’. That may be part of the problem. So are the majority of scientists these days – though not in the past, and with some very great exceptions among the most distinguished scientists of all. For the left-hemisphere crowd, there will never be enough neuroscientific knowledge to relate the brain to culture. For them not only is everything valid only within its own compartment of knowledge, but each little fragment of knowledge within that compartment, each little research paper, is just that – another tiny piece of information. The bigger picture is lost, and even professionally frowned on. At what point, according to Grayling, would one have enough information to be able to make sense of it at the phenomenological level – in the world where we live? And one might ask gently, how would he know? The information grows at an absolutely staggering rate every day. Indeed my worry is that soon there will be so much of it that, unless someone like myself is foolish enough to try to make sense of it now, we will never be able to see what is going on at all. More information does not necessarily lead to philosophical insight. And it’s that, not information, that we lack. And it’s that, not information (though there is a lot of it in my book), that I hope I have offered. How would you like your book to influence the thinking of psychiatrists like me, and the way we conceptualize mental illness? I would like it to humanise psychiatry, and help us to see that we need to relate what we know about the body and the brain to the history of humanity. Today Frontier Psychiatrist is honoured to feature an interview with fellow blogger Prozacville. For those of your unfamiliar with this site Prozacville is – in its own words – a cartoon about ‘existential discomfort and other things that go bump in the night, starring a cast of walking-talking Prozac pills’. And I think that it’s entirely brilliant, which is not something I write without due consideration. Can you tell me about why you started the Prozacville site? The pedestrian answer to ‘Why Prozacville?’ is that I’d been doing a lot of drawing, painting and illustration, but was finding it all a little untethered, abstract, free-floating, and was trying to think of a way of tying it together more with words. The David Shrigley route was one way of doing this, but Shrigley was already having a good crack at doing Shrigley, so although I dabbled for a while in Shrigleyness, I think I was waiting for something to come along and unlock my creative-quandary. 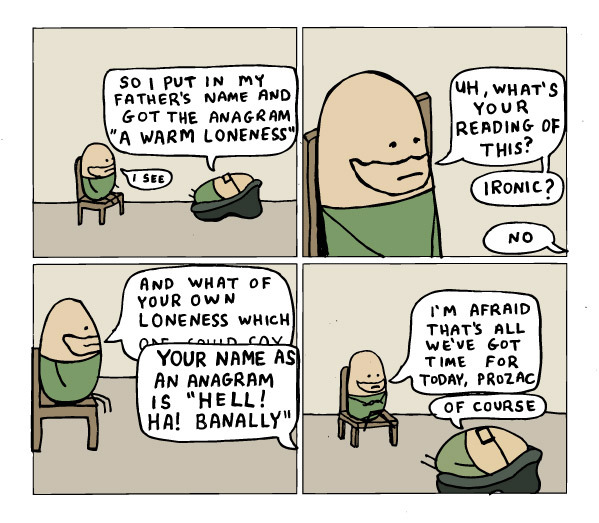 This came in the form of Hugliekur Daggson of all people, who reminded me that cartoons can be profoundly visceral and ‘shocking’ (in the best sense of that word – ECT for/by the unconscious, if you like), a million miles away from the classic set-up + joke nature of traditional cartoon strips. Daggson ‘allowed me’ to begin drawing and thinking in a certain way and the early cartoons were thus a kind of homage or paying-of-dues to him. But then I quickly realised that I couldn’t be Hugeilekur Daggson, and didn’t want to be Daggson, who is (in the best and most interesting sense) a sort of One-Man Viz Comic, the Id-Unleashed (in pen and ink). In order to do what he does, a kind of simple substitutional defence mechanism needs to be at work: acupuncture-humour, pushing needles into anything and everything that feels like a taboo. But where’s Daggson himself in all of this? I’ve always enjoyed those writers and artists who leave enough cracks and spaces for the viewer or reader to see (or at least think they’re seeing) Joe Schmo standing behind the neatly-produced ‘answer’ pulling the cranks and levers to maintain the illusion of that (provisional) answer. Perhaps I’m talking here about Projection and Sublimation (which I think/hope Prozacville invites), but also the difference between Sublimation-as-Displacement (AKA: Taking The Piss) and Sublimation-as-Intellectualization (AKA: Ooh, Clever Me). I obviously have a greater need for the latter. I mean, it’s great if you laugh (or even, god forbid, LOL) at Prozacville, but even better if you’re taken onto the cusp of a set of conflicting emotions. That’s where the interesting ‘stuff’ is happening (all the time, in our heads) and that’s what I think I’m trying to do with the drawings. Adam Phillips says in Terrors and Experts with his usual delicious cultivation of paradox that “the unconscious is a logic that dispels the illusion of minimal alternatives”. Prozacville gives me (and hopefully you) the feeling of having greater access to that. Where do you get your inspiration for your cartoons? It’s very much a mish-mash: things I’m reading about, things happening to me or those close to me, newspaper articles, tweets, bleats, Negative Automatic Thoughts, advertising hoardings, the general whirr and whirl of the world flooding into into eyes and ears and sparking off something that feels like a Prozacville idea. A lot of your cartoons have mental health as a theme – have you had much to do with mental health services either as a patient or a professional? Both. I’m nearing the end of my three year training as a counsellor/psychotherapist (integrative), and so quite keenly registering the experience of being (and having been) on both sides of the couch, which is hopefully something I’ll be able to hold onto in my own clinical work. I think we sometimes forget that all health professionals were at some point patients/clients -some more than others- and it feels right that it should be this way. I’m not a huge fan of Jung, but the notion of ‘The Wounded Healer’ is a powerful one. If you’ve had anything to do with psychiatrists, what do you think of them? I’ve not experienced psychiatrists as a patient. I envy though you having that medical background on which to stitch a psychology/psychotherapy training as it seems to me just plain common-sense that mental illness is a biopsychosocial phenomenon, and let’s face it, you’ve got the bio bases better covered than I have. I do wonder though, if coming from a medical background means you are also more prone to ‘diagnose’ and pathologise, as I believe the the power of the work can sometimes be found in not putting someone into a DSM-IV category, maybe even that very category in which they themselves have become quite comfortable in. But saying that, I also think we all diagnose or label to a certain extent. If you think someone’s weltschmerz stems largely from loneliness, this existential category/causality is as much a ‘diagnosis’ one might argue as formulating the notion of them as having something like an avoidant personality disorder. Isn’t it just a problem of nomenclature? You say potato, I say paranoid personality disorder, so let’s call the whole thing off? Linked to this is the problem that the mental health world seems to be so deeply fractured and splintered. Most of the time psychiatrists, (good) GPs, clinical psychologists, counsellors, psychotherapists (of all schools), psychoanalysts, psychiatric nurses, and dare I say I even say it, homeopaths, priests, imams and rabbis (of a certain self-reflective hue) are all involved in quite similar processes, but you’d never glean that from reading what they think about each other, or the ways in which they try to distinguish themselves from each other. I think we’re back here in the realm of ‘illusory miminal alternatives’. Can you give us an idea of how you occupy your time when you’re not drawing cartoons? Apart from the psychotherapy/counselling, I also lecture at a London Uni, though in an unrelated subject area. In order to keep my own mind, body and spirit together, at the moment I’m pretty evangelical about Bikram yoga and will probably try and get you into a Bikram oven were you to express even a passing interest in the subject. What you you think of medication as a way of treating psychiatric disorders? There is no easy/pat answer to this, is there? I’m sure we both know people who wouldn’t be here today if it were not for psychoactive medication, but then it’s also sometimes a way for us as a society to ‘fob off’ or sedate those who are in mental pain with a relatively low-cost, low-person-intervening chemical cosh. It would be great if everyone could have access to both good psychiatric assessment and drugs (if they needed them) and/or long-term talking therapy. But that’s very much the Utopian ideal, isn’t it? If you think that it costs the NHS a few grand to give someone a year of once-a-week talking therapy at somewhere like the Tavistock, but probably less than a tenner to supply generic SSRIs for the same period, well, you can see why most people ends up with pills and/or (if they play their cards right) six to twelve sessions of CBT. Which other cartoonists do you recommend? On the website I list some of my vertical influences/authorities (the ‘parents’ of Prozacville, if you like) and horizontal ones (siblings). On and offline though, I probably spend more time reading mental health blogs and books (fiction/non-fiction) than cartoons or webcomics, because even if I’m looking for entertainment I still want to be moved in some way, and on the whole cartooning/comics is a medium that doesn’t seem to take that part of the equation hugely into consideration. It’s really great that after about three years of doing Prozacville, the mental health/blogging world has ‘discovered’ The ‘Ville. This has always been my ‘target audience’ and so it’s really gratifying that you/they seem to like what I do.